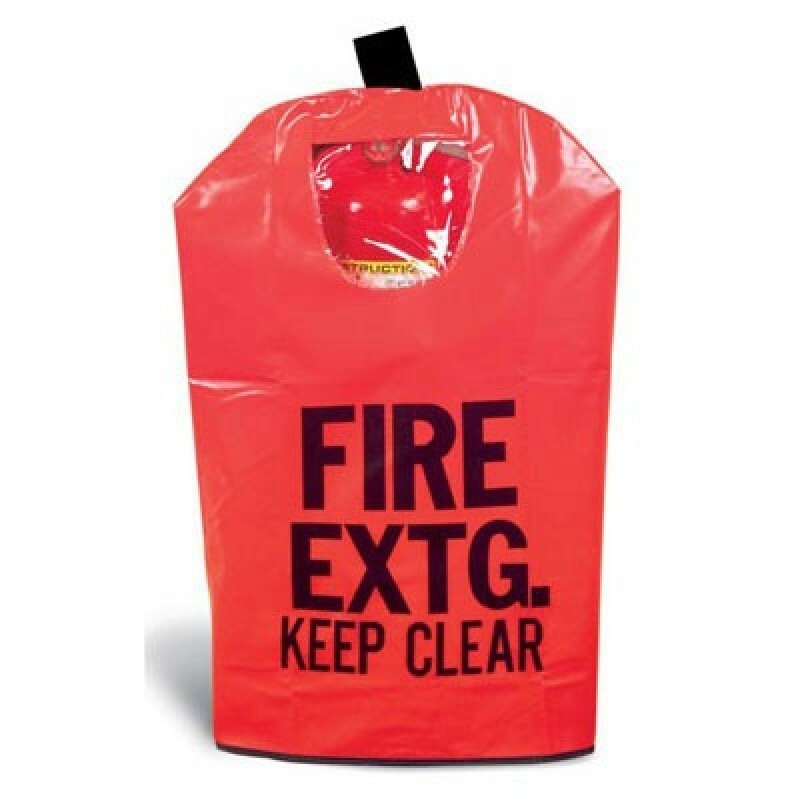 These extinguisher covers are designed to protect a variety of fire extinguishers from dust, water, and corrosive fumes. Constructed of reinforced vinyl with black imprint and black trim. Hook and loop closures offer easy donning while the clear window indicates extinguisher presence. Fire Extinguisher Covers fit portable, pressurized and cartridge-operated extinguishers. Available in 3 sizes.